It was back in 2017 that our president issued a ban on those who identify as “transgender”, or those suffering from gender dysphoria, from serving in the military. The dangers and expenses associated with allowing individuals who identify as transgender to take up arms has been largely ignored by the general population. Citizens of the United States trust the military to protect our families against threats far and wide, and now we can rest assured that someone’s lifestyle choice isn’t exposing our country to increased harm. Conservatives have patiently waited for the legislation on transgender military bans to be implemented. The ban does not restrict all people claiming to be transgender from serving but has made leaps and bounds towards eliminating those with a mental health condition from all branches of military. It was not a smooth transition from Trump’s enactment to the implementation of the legislation. Many officials and organizations worked hard at impeding the ban until the federal court stepped in. Just this January, a federal court put an end to the nonsense standing in the way of the ban coming into effect, saying that the lower courts have no authority to block what the president decreed, according to the Daily Wire. There were three judges arguing the monumental policy change, and they found that the executive branch is head of military policy and that Congress, or anyone else, didn’t have the power to supersede it. It was pointed out that the ban was not a “blanket ban” against all individuals claiming to be transgender, but those that Pentagon officials find unable to perform at their best because of their condition. 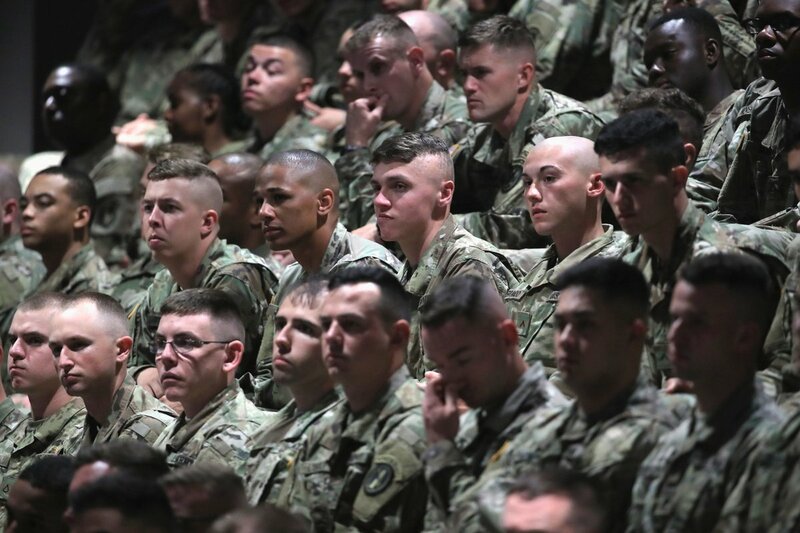 They added how the partial ban lends itself to the “professional judgement” of military officials, allowing some “transgender” members to serve. The Pentagon stated in their final draft of the ban that those who have a “history or diagnosis of gender dysphoria”, or those who “may require substantial medical treatment, including medications and surgery”, would be barred from joining any branch of the military. In reality, all individuals claiming to be transgender do, in fact, have gender dysphoria, which the American Psychiatric Association still classifies as a mental disorder. Until just recently, the World Health Organization, also, considered gender dysphoria a mental health condition. No doubt, it was liberal’s crushing pressure that forced the WHO to rewrite their policy. In regards to the last clause of the final draft, no persons who make the claim to transgender identity has to get medication or surgery, they choose to for personal reasons, not medical ones. Such medications and surgeries are not only dangerous and unnecessary and before the recent ban being enacted, were paid for with your money! Americans have given almost $8 million to “transgender healthcare services” for military personnel, including a staggering 161 surgical procedures, as Mommy Underground has previously reported. To have a mental health condition you are addressing that doesn’t affect the military as a whole is one thing, but the small “transgender” population wants entire branches of the military to alter their standards of operation to accommodate their condition. The transgender ban was necessary. Having gender dysphoria is a sad condition that needs to be treated, not catered to. Military trains for one thing- to protect this nation at all costs. Dealing with an intense personal crisis could put the lives of comrades at risk, cloud judgment, and distract from the mission. Please let us know in the comments section how you think the ban is going to play out over the next year with transgenders being dismissed from duty for their claiming to be transgender.